Undeterred by his disability, young Mallam Gaddafi has taken to farming sworn to improve the socioeconomic face of Nigeria. Gaddafi has been crippled from childhood due to poliomyelitis but has sworn not to ever beg. 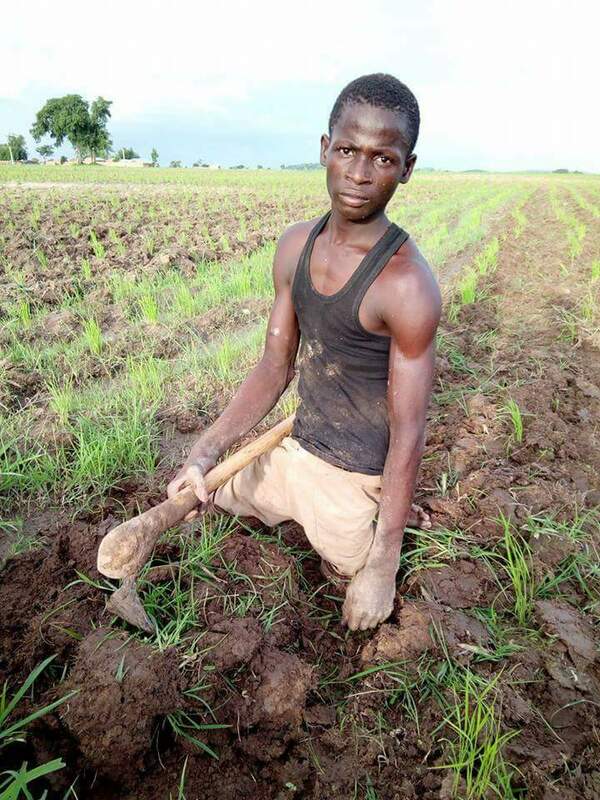 Mr. Abdulraman Yaro who shared a photo of Gaddafi on his farm said the teenager who hails from Zamfara state is economically independent as a result of his farming activities. The photo shared by Mr. Yaro shows him on a ridge, sweating with a Hoe in his hand. In his surrounding is a large expanse of land obviously worked on by him.